iOSR meeting host, Northamptonshire grower, Ian Matts of Brixworth Farming, experienced the worst combination of exceptionally hot, dry conditions on heavy soils and intensive pest pressure, which resulted in some OSR failing to emerge completely, and other fields quickly decimated to unviable levels. Having opted for Clearfield varieties, in an effort to get on top of high volunteer numbers and brassica weeds, no pre-em herbicides had been used, which enabled some of the failed areas to be put back into a late sown winter oat crop. 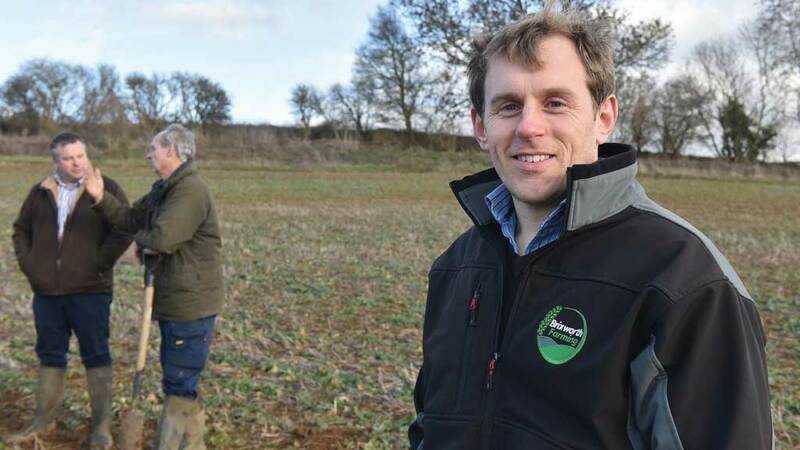 “It’s not an ideal scenario, as we won’t get the full benefit of a cereal break that the OSR gives, but it is better than a fallow year and hopefully the oats at high seed rate will give some competition against the black-grass,” he said. Ian showed that while OSR produced the farm’s lowest net margin in 2018, principally due to higher growing costs and lower yields, it has historically been one of the highest net margins over the last five seasons. It also has an important role in spreading workload and diversifying risk across the rotation. Having experimented with a zero-till GD drill for the past two seasons, this year they are looking to invest in a Horsch Sprinter, following the success of the Horsch CO used this season. It is a system Cotswold iOSR grower, Hamish Campbell, reported has been a ‘revelation’ for OSR establishment; the combination of leg opening up of channels for the OSR root, putting DAP down the spout to feed the seed, and then a press to conserve moisture had proven reliably effective for them. Cabbage Stem Flea Beetle (CSFB) has placed another hurdle in successful OSR establishment. The experience of most iOSR growers indicates that while crops can get away from pest feeding damage in good growing conditions, during in the hot, dry late summer last year heavy losses were incurred. Furthermore, the intense beetle activity followed by a relatively mild early winter, has left a legacy of extremely high larvae infestation in remaining plants which is likely to further impact on yields. Martin Parkinson reported instances they were finding where seedlings had emerged, but stalled at cotyledon stage in the dry conditions with evidence of plants being nibbled off at or just below ground level, attributed to CSFB adult or larvae. It was the first time some OSR crops at the Cotswold Farm Partnership had been written off, he reported. However, those crops which got up and away were looking vigorous and ready for early nitrogen as soon as conditions allowed, Martin added. In Norfolk, Chris Eglington detailed he too had lost crops for the first time, due to the combination of conditions and pest pressure. With his precision drilled crops, Chris is prepared to work with low plant populations and still produce good yields, but this season in some instances even that was not achieved. St Neots’ grower, Ian Lutey, believes the eastern counties OSR area had got so big and beetle pressure so huge that crops have been unable to cope. Now, growers in other areas that had hitherto not suffered so badly, are beginning to bear the brunt. Recent modelling suggests that warm weather in autumn and winter and low spring/summer rainfall have also been shown to increase larvae numbers. Furthermore, research entomologist and CSFB specialist, Dr Sacha White of ADAS, informed the iOSR group that recent years’ weather conditions, combined with a rapid rise of pyrethroid resistance across the country, is likely to have exacerbated the situation in most areas. Latest monitoring had revealed 90% of CSFB populations sampled showed some degree of resistance, with more than a quarter of samples (10 of 38) showing at least 50% resistance, he warned. “That has made the need for an alternative IPM approach to managing CSFB more important than ever,” he reported. The situation in 2018, when relatively few beetles were seen around at summer harvest, but then turned into an extremely high pressure autumn, highlighted the need for action every year, he said. In a review of agronomy factors affecting CSFB, Dr Sacha White of ADAS highlighted trials had shown little or no differences in CSFB activity between current varieties in trials, and very limited benefit in increasing seed rates to counter pest activity. In fact, the trials had shown increased seed rates led to far higher total larvae numbers and consequently higher long-term populations. There could be potential for breeding varieties selected to have low levels of glucosinolate - the precursor to making seedlings attractive to CSFB - however the trait would also be likely to make them more attractive to slugs. He pointed out that August drilling appeared to reduce the impact of adult feeding damage, typically as plants grow away faster. However, delaying drilling until September resulted in less larvae presence in the growing crop, primarily as the crop is exposed to egg hatching and infestation for less time. That was important, he believed, since research has shown that, in good growing conditions, even small OSR seedlings can withstand intense and repeated adult feeding damage. But larvae numbers have a far greater impact on yield. Survey data had shown an infestation of just five larvae could result in 0.5 t/ha yield loss, and a tonne loss from 15 larvae per plant; when in reality far higher numbers could often be found in crops. The implication is that delayed sowing may have more to offer by way of preventing larvae damage. However, the iOSR growers highlighted the practical risks to get a late crop successfully established, which was unlikely to find favour for September drilling. Trials for later sowing on the iOSR Focus Site, drilled on the 20 September, were showing plenty of plants at the end of January, but at small growth stages. Providing they survive pigeon feeding and high Phoma pressure, CSFB numbers will be fully assessed in the spring and compared to levels in earlier sowings. ADAS Research Entomologist, Dr Sacha White, highlighted the industry Cabbage Stem Flea Beetle (CSFB) IPM project had identified the potential to protect new crops from attack, by leaving a sufficient area from the previous year’s OSR to green up with volunteers and attract adult beetles away from emerging seedlings in neighbouring fields. The key is to have volunteers at a stage of emitting isothiocynates – a metabolite of the naturally occurring gluconsinolates in brassica crops - that attracts CSFB at the time of the key August migration. Importantly, once beetles are established in the volunteers, they tend to lose the muscle strength to fly and migrate into the emerging crop. Trials where the volunteers had been left into the autumn resulted in a significant reduction in adult CSFB (up to 80-90% less) in the growing crop, along with significantly less damage and significantly higher plant populations. He indicated one of the benefits is to leave the volunteers for long enough for eggs to hatch and larvae to enter the plants, before destroying the green material and breaking the life-cycle. 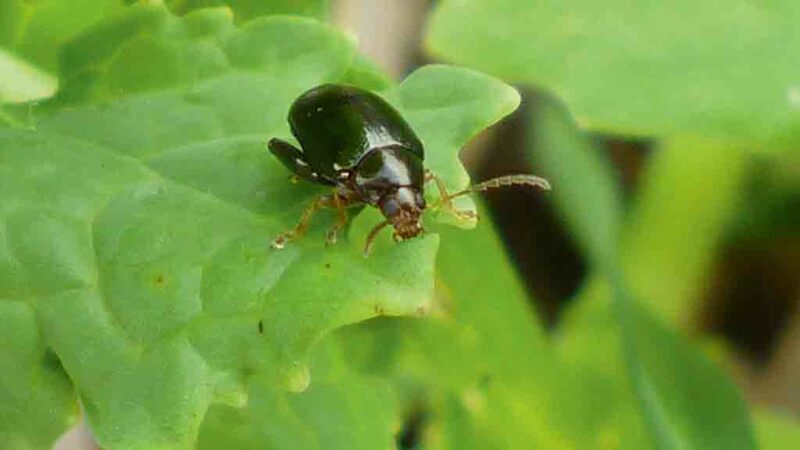 Cabbage Stem Flea Beetle (CSFB) could be targeted be physically removing larvae harboured in leaf petioles over the winter. Research trials, by ADAS and on the iOSR Focus Site at Rougham in Cambridgeshire, has mechanically removed the green material, whilst iOSR grower, Chris Eglington, has been involved in the research by grazing a hectare of OSR known to be affected by CSFB larvae with sheep for eight days. 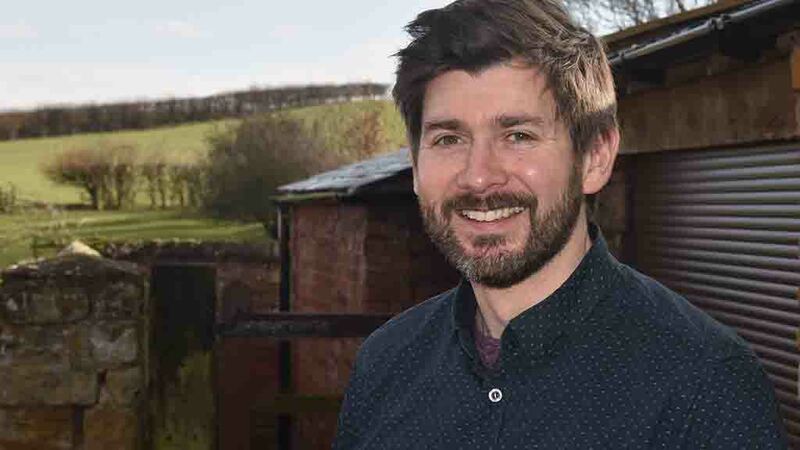 “There is definitely a practical issue if getting sheep onto and across the OSR crop at the right time to target the larvae, but not adversely affect the crop,” he suggested. “Fortunately with low plant numbers established early, we generally have good root structures that should recover quickly.” Grazed at the beginning of January, he reported the effects initially looked harsh, but by early February was clear signs of some new growth. The iOSR growers also questioned the practicality as to whether a topper could chop low enough and evenly enough to remove larvae in the lower leaves, particularly in a prostrate crop or uneven field. It also raised options for selecting variety hybrid vigour, for autumn growth to get going and spring recovery. OSR plants’ natural shedding of a greater number of lower leaves, due to the high populations of CSFB, will put more onus on the remaining green leaf area to deliver good yields, believes Syngenta Technical Manager, Georgina Wood. “Growers may need to further reassess the GAI and leaf area during the spring, if plants continue to drop leaves,” she advised. “That could have implications for fertiliser rates and timing to ensure plants have the capability to quickly generate new growth. “That will be especially important if growers have flailed or cut back the crop to remove larvae infested petioles.” Georgina pointed out trials have shown OSR has a remarkable ability to recover and compensate for lost leaves, but that does mean new growth must be protected. AHDB research has shown OSR requires 60 to 70 days post flowering for seed to reach its optimum size and oil content. “Extending the growing season by retaining new green leaf area for longer is likely to be crucial for these crops to recover lost potential. Crops could benefit particularly from Amistar applications through flowering, to aid green leaf retention and photosynthetic activity.” The good news is that some of the Light Leaf Spot and Phoma pressure could be alleviated when plants shedding infected leaves. The jury is definitely still out over the question of the need for OSR desiccation among the iOSR grower group. While some have successfully left crops to senesce naturally and gained the full benefit of the green leaf area, the experiences of combining challenges at harvest means glyphosate will remain a key tool for most. The overriding consensus was that crops at relatively high plant populations, with thin stems, which were still standing well, could potentially be left to naturally senesce. However, lower plant populations with thick stems and masses of side branches presented real problems of remaining too green at the base to cut when the pods were ripe; when desiccation would prove essential. iOSR growers were looking at desiccation timing to eke out extra days of seed fill from green leaf, given the challenge of timing glyphosate applications - with or without a pod sealant - to coincide with harvest opportunities. It remains viewed as an essential option, with little appetite for a return to swathing. Growers were reminded the EU decision to withdraw all diquat products meant Reglone orders for this year’s harvest must be delivered onto farm by July 31, and used by February 4, 2020. Trials of companion cropping at the iOSR Focus Site in Cambridgeshire have shown good crop establishment, particularly from rows sown alternating with OSR drilled at 50 cm spacing, compared to where the companion crop is grown in the row with OSR. However, while mustard is being touted as the best option for companion cropping OSR, Syngenta Technical Manager Georgina Wood reported it was still growing extremely strongly in early February – with implications for competition until frost would take effect. The results for OSR plant numbers and CSFB larvae populations would be assessed over the spring.